To the uninitiated, Tokyo can feel overwhelming. 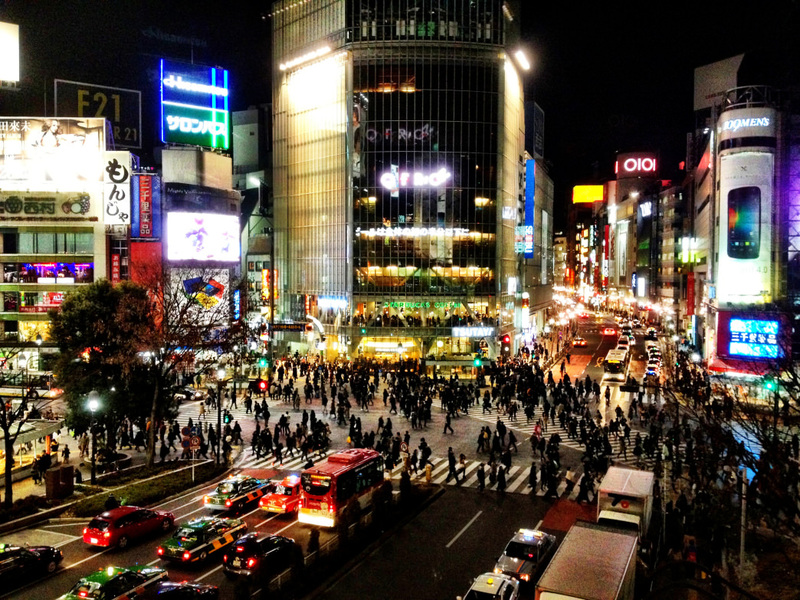 With roughly 10 million residents, Tokyo is known for a non-stop buzz of activity, no matter the time of day (or night). Skyscrapers dominate the horizon, subways are packed at all times of day, and Tokyo is one of the few cities where a pedestrian intersection becomes a tourist attraction. How do you make sense of it all—and how can you dress for the occasion? Get off the beaten path (or, in the case Shibuya Crossing, follow the beaten path) for a few days of fun and frolic in one of the world’s busiest cities with this guide to 37.5 hours in Tokyo. Ask any runner, and they’ll extol the virtues of going for a quick run after touching down in a new city. It lets them stretch their legs after a long flight, orients them in a new city, and helps them feel a little less guilty about dinner and drinks later that night. So if you're looking for a quick run after arriving, look no further than the 3-mile running path along the Meguro River. Located in the heart of Tokyo, much of the path is lined with Japan’s famous cherry blossoms (come in the spring to catch them in full bloom). The route includes numerous bridges, parks, and temples, so you’re rarely far from an eye-catching view or a new attraction. What to Wear: Regulate your body temperature, ensure breathability, and improve airflow with Salomon's Primo Warm LS CN Seamless Tee (available for men and women). The durable base layer incorporates stitchless construction for added comfort, and the material uses 37.5 Technology to maintain your ideal core temperature in any climate. If you’re feeling jet-lagged, get up and start your day with a stroll through Tsukiji Fish Market. 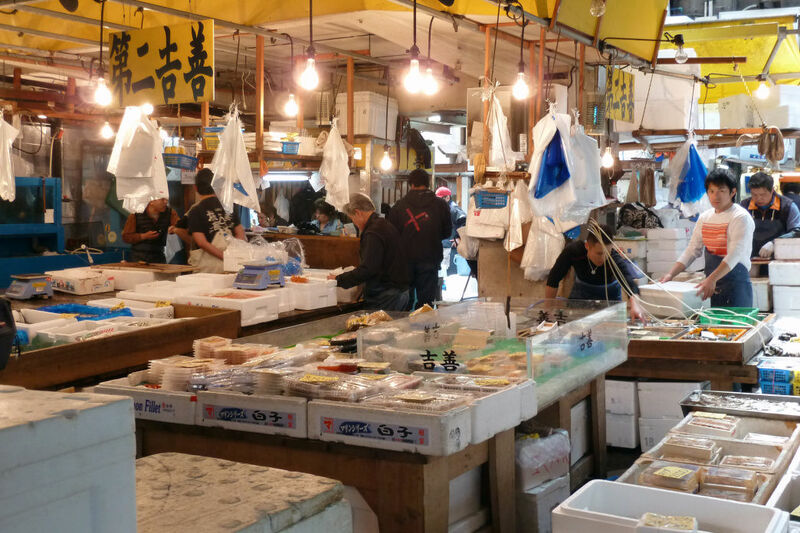 The largest fish and seafood market in the world offers nearly 500 varieties of seafood to restaurateurs, chefs, markets, and the general public near the banks of the Sumida River. If you’re up really early, check out the early-morning tuna auctions for a rare glimpse inside Tokyo’s world-famous seafood market. Only 120 members of the general public are allowed to view the auction, and registration starts at 4:30 a.m. Even if you miss the auction, enjoy a sushi breakfast from one of the numerous food stalls, watch vendors filleting the day's catches, or pick up fresh seafood to cook back at your Airbnb. Chances are good it was caught that morning. What to Wear: With so many stalls and so much to see, you'll want comfortable shoes for all that walking. Enjoy a blend of comfort, style, and functionality with the Kam Leather Sneaker from Kenneth Cole (available for women and men). The shoe incorporates 37.5 Technology to wick moisture away before sweat can form, traps odor molecules, and retains infrared energy to keep your foot warm in cooler conditions. For all its hustle and bustle, Tokyo delivers a surprising number of respites from non-stop city life. One such delight, no matter the time of year, is Shinjuku Gyoen National Garden. 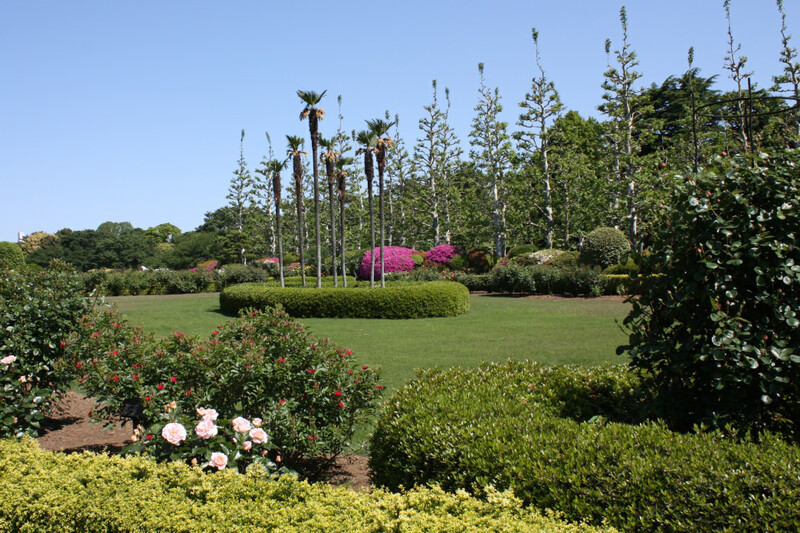 Perhaps the most beautiful garden in Japan, Shinjuku Gyoen is home to three themed gardens, each reflecting a different country. The traditional Japanese landscape garden has a number of islands, bridges, and native trees and shrubs; the French Formal Garden is awash in poplar trees and fragrant rose bushes; and the English Landscape Garden is known for its meticulous lawns and grasses—the perfect place to plop down for a picnic or to gaze at the Tokyo skyline. And there’s really no bad time to visit the expansive garden—vibrant foliage displays dominate the maple tree groves in the Japanese garden every fall and more than 400 cherry trees blossom throughout the garden every spring. What to Wear: You'll want to feel comfortable while browsing the many gardens and landscapes of Shinjuku Gyoen National Garden, so roll on a pair of Sport Pop Ultra Light micro socks from Point6 and 37.5 Technology before heading out. The socks use 37.5 Technology to maximize evaporation and improve dry time, preventing odors and stopping sweat before it forms. And you'll love the comfort provided by the sock's extra light material and bouncy cushion. As one of the busiest intersections on Earth, Shibuya Crossing sees thousands of pedestrians every day—at peak times, a thousand or more pedestrians may cross in a given traffic cycle. Surrounding it all, dozens of billboards, video screens, neon lights, and other signs compete for pedestrians’ attention. Once you’ve crossed the intersection, head to the nearby Starbucks for unimpeded views of the chaos from a few floors up. What to Wear: Tokyo’s weather can change in the time it takes to navigate Shibuya Crossing, so stay warm and cozy with the Adidas Terrex Stockhorn Jacket (available for men and women). The polar fleece jacket incorporates 37.5 Technology to regulate your body temperature and fight unpleasant odors—and it offers zip pockets for added security, a hood to keep you dry, and a body-hugging fit that moves with you. No visit to Japan is complete without letting loose and rocking out in one of the country’s many karaoke rooms. But if you’re not quite ready for a headlining set in front of adoring crowds, hone your skills at 1Kara, where solo karaoke booths help conquer your stage fright. Once you’ve mastered your favorite song, take your show on the road. Karaoke47 promises one of the most scenic karaoke rooms in town, with rooms on the 47th floor of the Keio Plaza Hotel, while Smash Hit swaps J-pop for songs from around the world. And if you’re ready for the spotlight, Jan Ken Pon invites singers to perform with a live backing band in Tokyo’s Ebisu district. What to Wear: You want to look good and feel comfortable when it's your time behind the mic. Pair a Kenneth Cole Awear-Tech black T with grey Awear-Tech pants and you’ll stay cool calm and collected on stage and off. Your 37.5 hours in Tokyo is almost up, so why not grab a souvenir on your way to the airport? Find the perfect trinket along Takeshita Street, a quarter-mile-long market open exclusively to pedestrians in Harajuku. 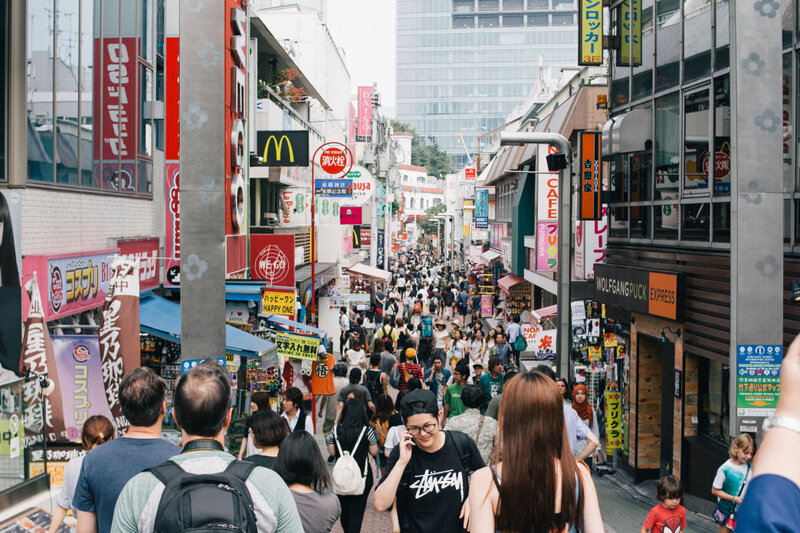 You'll see a few names you know—predictably, McDonald's is accounted for—but most of the businesses lining Takeshita Street are independent shops, boutiques, and cafes you won't find anywhere else in the world. What to Wear: You'll spend a lot of time outside at the market, so stay warm and cozy with a hooded sweatshirt from Carhartt (Force Extremes Signature Graphic Hooded Sweatshirt for men and Force Extremes Signature Graphic Hoodie for women). Both hoodies use FastDry with 37.5 Technology for a quick-drying experience, and the odor-fighting technology means you'll smell fresh, whether hustling between boutiques or rushing to your gate at the airport. American heritage brands are well loved in Japan, so the Carhartt logo will get you some thumbs up on the street. Written by Matt Wastradowski for RootsRated Media in partnership with 37.5.